Writers love to place themselves in the shoes of their characters. Pretending to be someone else and emoting with the needs and desires of another mark the starting block of the writer’s initial foray into a lifetime of discovery. One problem: without a proper map they end up lost and confused, doubling back on themselves without even noticing. The first artice in this series on Plotting Your Story with Dramatica recognized The Difference Between Becoming and Being in Dramatica. Understanding the various Types of conflict that exist in a story and how they feel shifting from one to another built the foundation for Identifying the Number of Acts in Your Story, the second article in the series. With that knowledge in hand, we now steer our foucs towards answering the question of dramatic tension within a story. Dramatica deals almost entirely with the objective view of a story. While The Audience Appreciations of Story like Reach, Essence, Tendency, and Nature bridge the gap between the objective and subjective, this objectified view of narrative is what separates Dramatica from everyone else. It is why some refer to its approach as too “abstract” and why others find the terminology “obtuse” and over-complicated. Writers write from inside the point-of-view of their characters; anything outside appears foreign and manufactured. The unfortunate side-effect of remaining locked in a subjective view rests in the very definition of a subjectified view: blind spots. Without access to the totality of everything going on around us, we often mistake our perceptions for reality. Films like The Sixth Sense, The Usual Suspects, and American Beauty explore this exact problem. However, a completely objective view lacks the one thing that subjectivity claims as its own: compassion. The phrase One man’s terrorist is another man’s freedom fighter describes the ability of the subjective view to empathize and care about the particular point-of-view one takes. In story, we want the Audience to relate to our characters and to be moved by their thoughts, their words, and their actions. A powerful and meaningful narrative finds substance in both the subjective and objective views. The greatest writers dive into their stories and write subjectively, and then come up for air and take a more measured and objective view of their words. After assessing and determining the moments of subjective indulgence, they dive back down and make the necessary adjustments. Dramatica helps with the objective part of the process. Countless other paradigms and understandings of story help with the subjective part—only, they don’t make attempts to bridge the gap between the two. Our new understanding of Dramatica makes it possible to do both. One of the main ways of creating tension is by planting questions in the “mind” of the audience. As soon as a play begins, audiences have questions they want answered by the playwright. Where and when is the play set and why? What are the characters doing? Are they important characters? Where will the play head? What is the theme of the story? The Dramatic Question is the structural spine of your story. Remember how I said last time that a story consists of a character, a dilemma and a resolution? On some level all Dramatic Questions can be boiled down to “Will the character solve their dilemma?” Of course that’s not very helpful to the writer trying to crack a story. You need to ask that question with the specifics of your character and dilemma. This is where the subjective approach to constructing a story breaks down. Even if you ask the question with “the specifics of your character and dilemma” you will find yourself no further along than before you asked…because you will still be trying to construct the foundation for a narrative that affects each and every character from a subjective point-of-view. Subjectively, we are all blind to what is really going on. Why should it be any different from the point-of-view of a character? E.T. : Will E.T. get home? 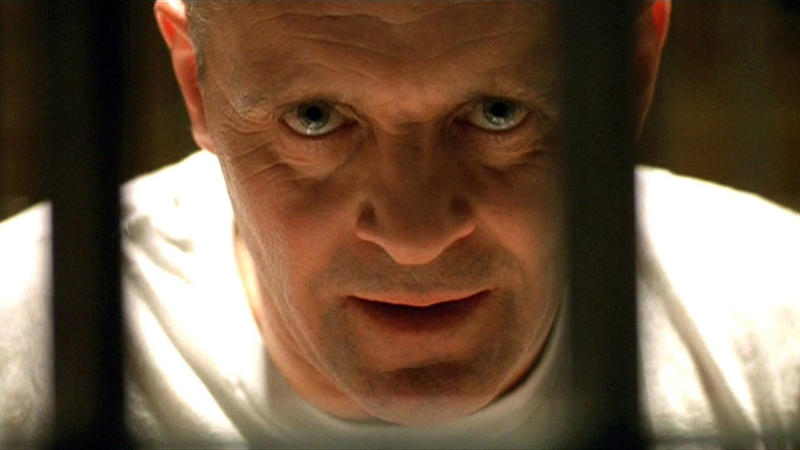 The Silence of the Lambs: Will Clarice catch Buffalo Bill? Erin Brockovich: Will Erin bring justice to a small town? Finding Nemo: Will Marlin find his son? A Goal is that which the Protagonist of a story hopes to achieve. As such, it need not be an object. The Goal might be a state of mind or enlightenment; a feeling or attitude, a degree or kind of knowledge, desire or ability. E.T. achieves freedom. Clarice captures Buffalo Bill. Erin brings justice. And Marlin finds Nemo. Unfortunately, if you were to set Dramatica’s story engine to Obtaining for all of those films you would be short one Oscar for screenwriting. E.T. the Extra Terrestrial, Erin Brockovich, and Finding Nemo find conflict in their individual stories through Obtaining. The government agents try to capture the alien and the kids try to win his freedom in E.T. ; Erin digs into the case and tracks down evidence of coruption in Erin Brockovich; Marlin, Dory, and Nemo escape from sharks, whales, and aqauriums in Finding Nemo. If the question of Dramatic Tension sets the spine of a story then yes, questions of Obtaining fit…for these films. Will Clarice be able to stem the tide of Buffalo Bill’s murderous rampage? Far more interesting, and far more compelling than simply whether or not she will capture the bad guy, asking a question that brings to mind all the devolving forces working against Clarice inspires greater creativity and sophistication within the narrative. The artistry that sets Silence apart from all other films in this Genre is this focus on the rising tide as the center of conflict—not capturing and evading. Focusing on the “wants and needs” and “dilemma” of the central character would only guarantee mediocrity. And the Academy doesn’t hand out awards for mediocrity. The problem with asking dramatic questions and taking a subjective approach to structuring a story lies in the very nature of subjectivity—you don’t see everything that is going on. In fact, this approach seems ludicrous when you consider that an Author is the God of their story—they know and see everything! Anchoring the subjective point-of-view to an objective understanding of the true nature of conflict within a narrative is the only way to guarantee a powerful and meaningful story. By all means, write from within. Take that character’s point-of-view and run with it. But anchor it to an objective view that ties plot, theme, character, and genre into one. Ask questions, but know that those questions have answers. Dramatica’s concept of the Story Goal helps writers nail down and ask the right question by asking them to identify the true nature of their story’s conflict. In fact, Dramatica goes one step further by helping to provide the answer to that question through its concept of the Story Outcome. Subjectively we can only ask as we experience a story. That is why approaches to writing from within focus on these questions of dramatic tension. Why restrict ourselves as writers to simply asking questions, when there exists a foundation for both the question and the answer?